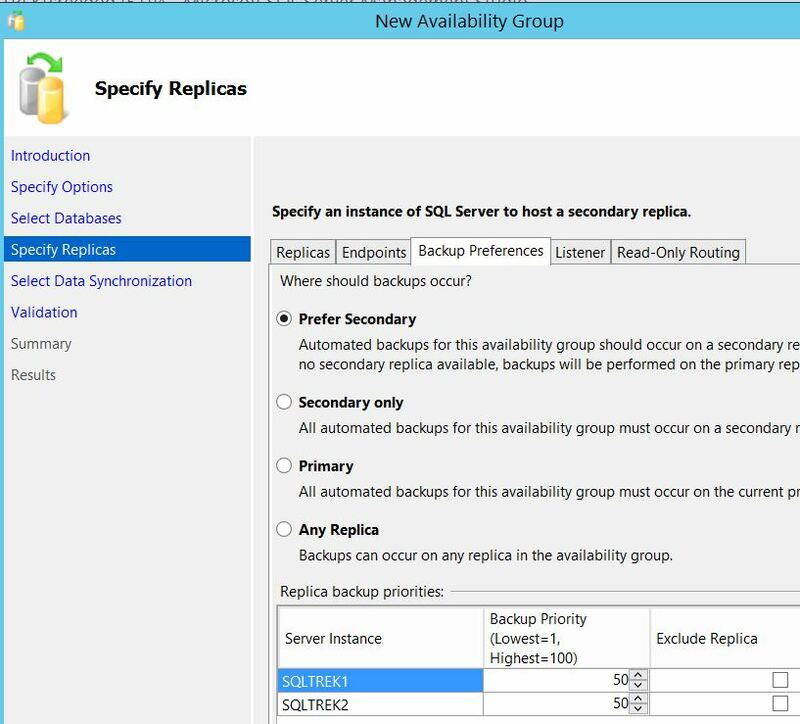 Microsoft made it official at last, starting SQL 2017 there won’t be any Service packs. 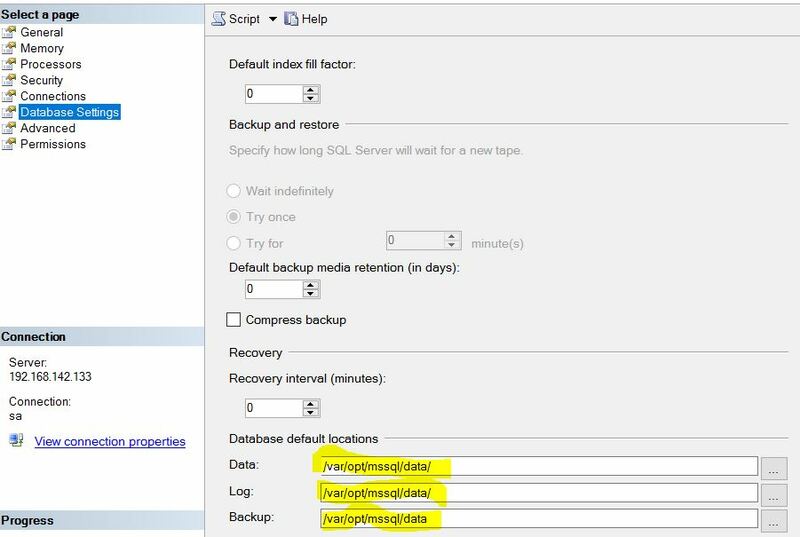 No more worrying about baseline build(s) for installing respective CUs. 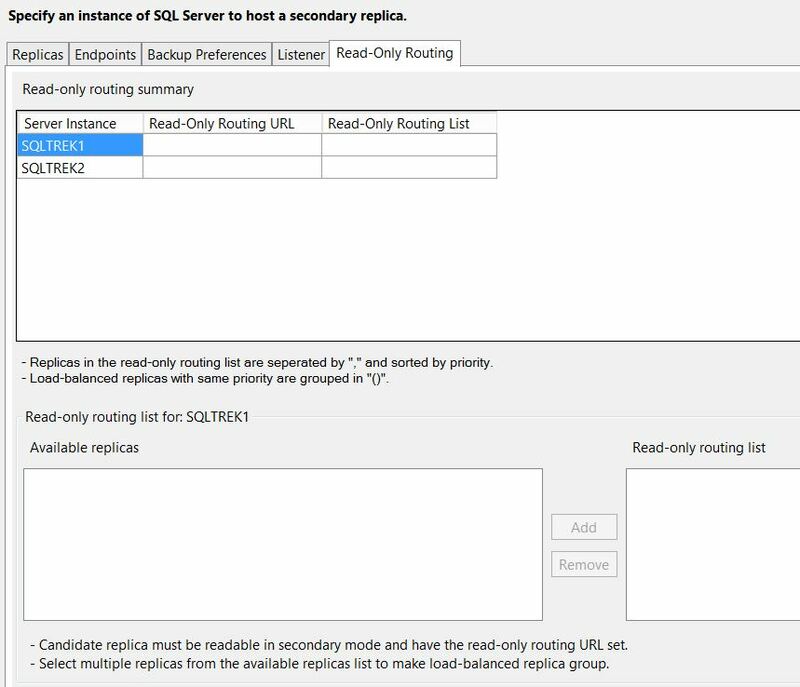 All we get is a single baseline build(which is RTM) starting SQL 2017. In Linux world, to manage services, we’ll be using command called “SYSTEMCTL“. We can check the status, stop,start,disable,enable any service running on a linux box using that command. Syntax is very simple to remember: systemctl action ServiceName. Check this documentation for more details. 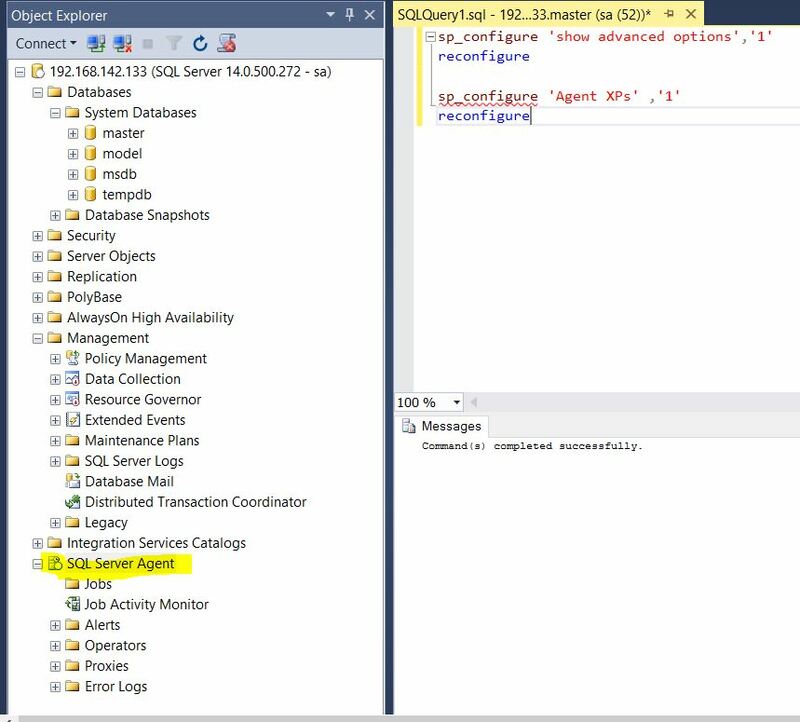 As you can see SQL Server Service is enabled and is running. Okay, let’s stop and disable them. 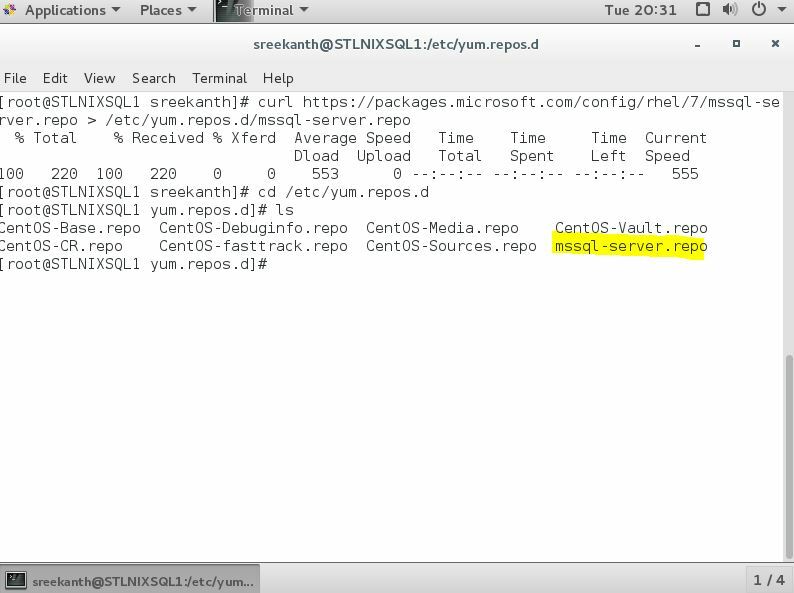 It successfully created syslink right after enabling the service. 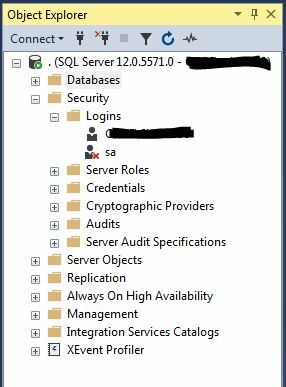 Then I started SQL service, Let’s check the status of the service again. 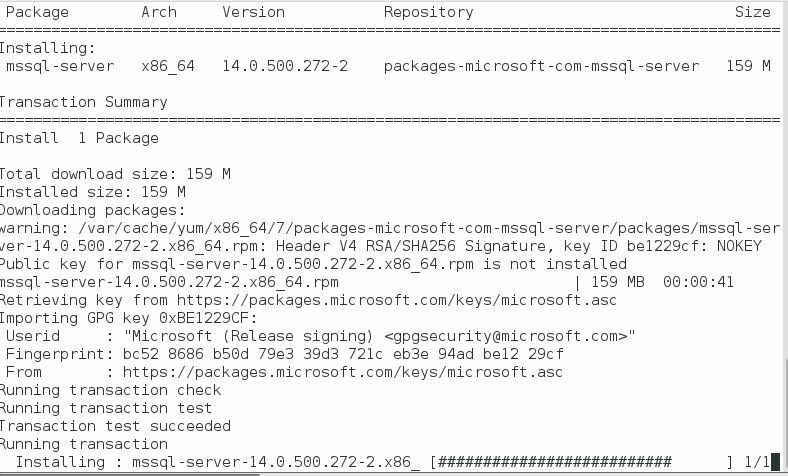 Happy SQLing on Linux 🙂 Fun Fun…. 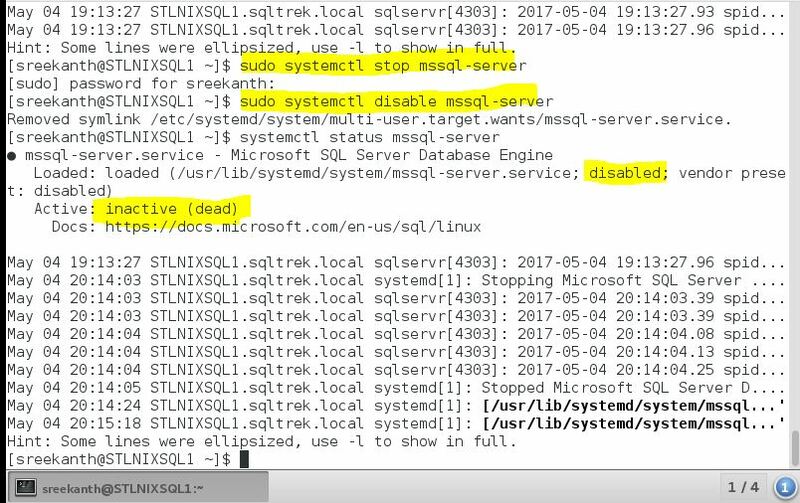 In this blog post, let’s see how to Install SQL Server on Linux. 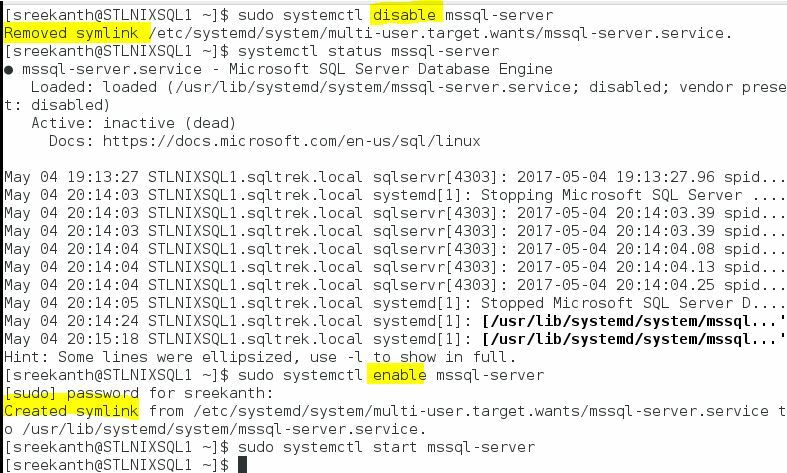 It’s been a while since Microsoft announced SQL on Linux, but I thought of waiting for a while before I set this thing in my lab. 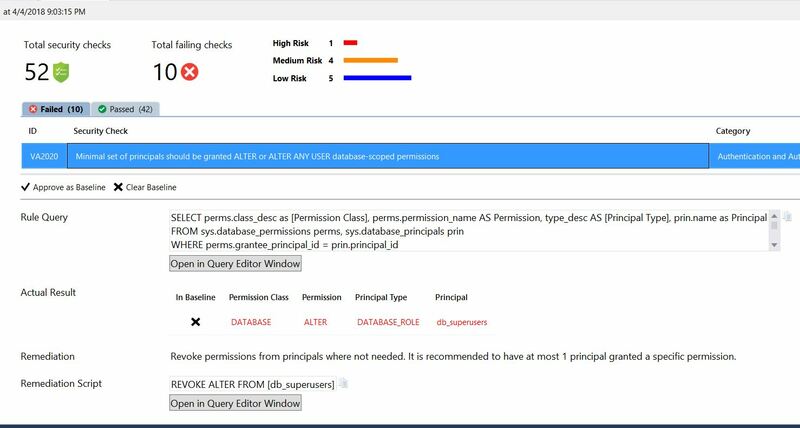 With the release of SQL Server 2017 CTP 2.0, It’s about time. Okay ,so let’s get started! Note: I’ve Centos installed in my lab. That’s where I started learning/exploring Linux. 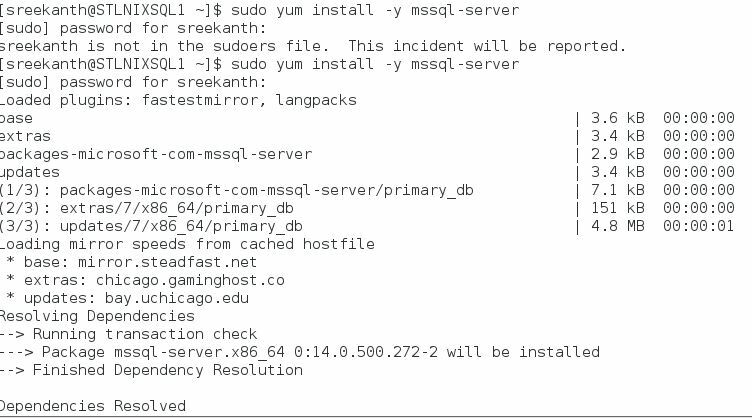 I am installing SQL Server on CentOS (Which is exactly same as RHEL). 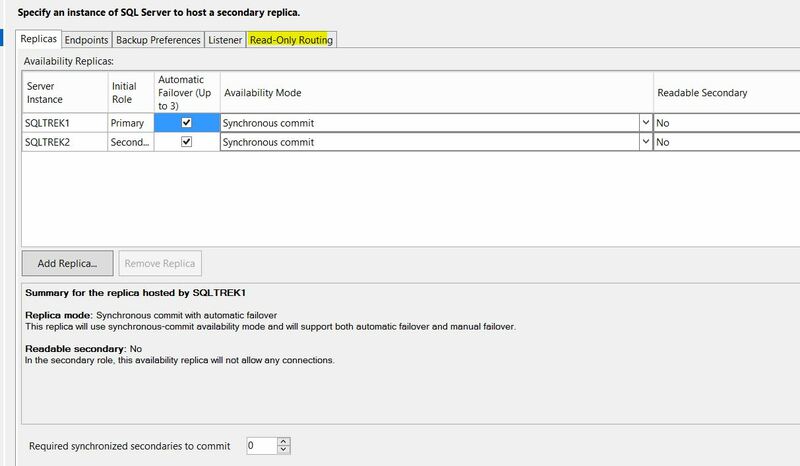 Every single command shown in this blog post should work on RHEL as well. Step 1: Connect to Linux machine and download config/repo file using CURL command and verify if it downloaded the file. 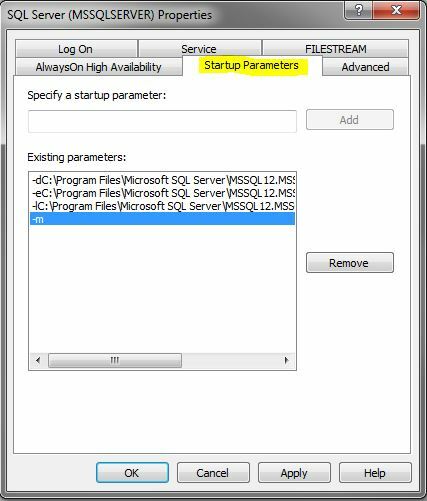 Step 2: Now we know that the file exists, lets try installing SQL using YUM Package. I logged out of root and I am using my regular account “Sreekanth”. 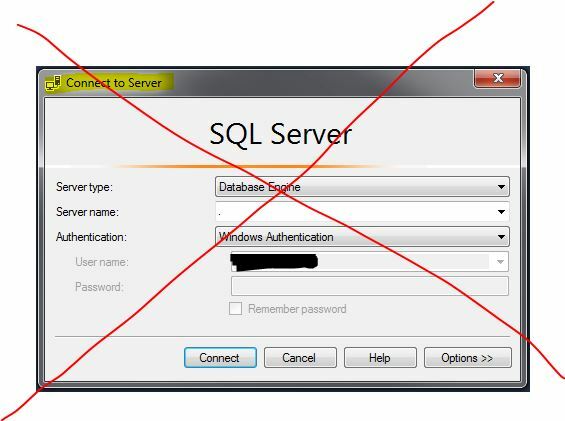 See below, It didn’t let me Install SQL because I didn’t have rights to use sudo. 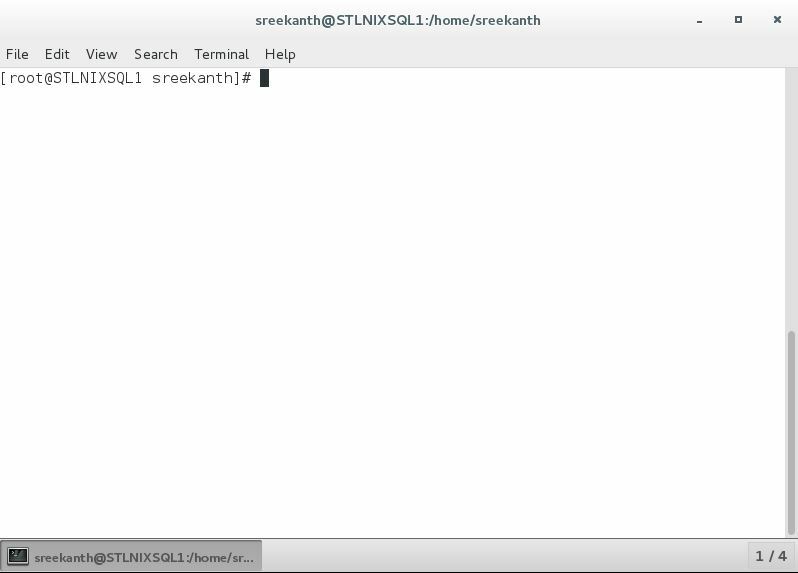 As I mentioned above, I will be adding “Sreekanth” to wheel group by logging in as root again. Well, It works. 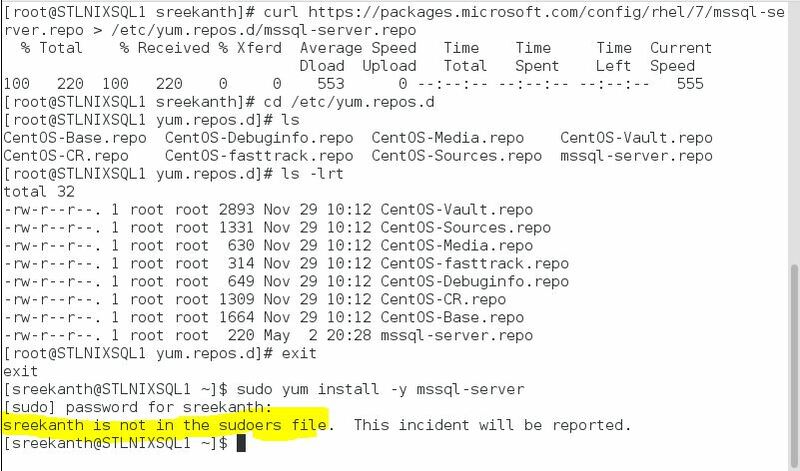 If you notice, it says “Run sudo /opt/mssql/bin/mssql-conf setup to complete setup”…Okay let’s do that. That’s our next step. 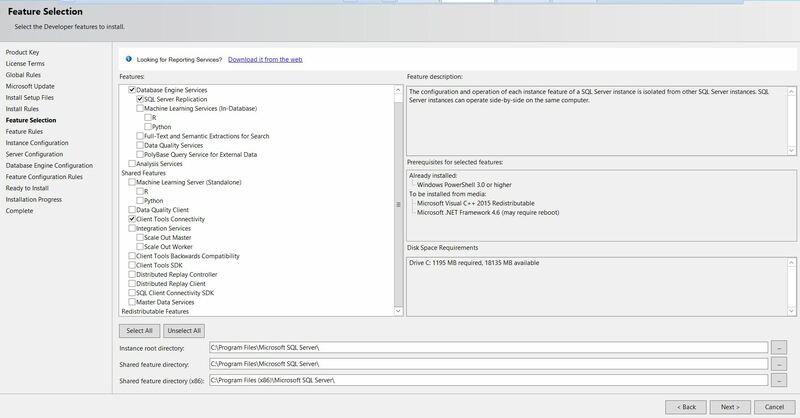 This is the step where we accept license terms, set “sa” pwd …all that good stuff. Done. That’s it guys! 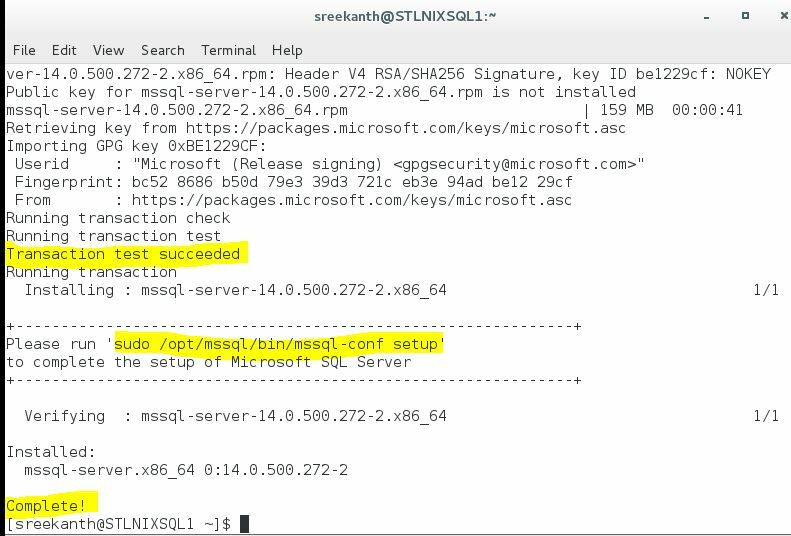 I am really impressed how easy it was actually to install SQL Server on Linux. 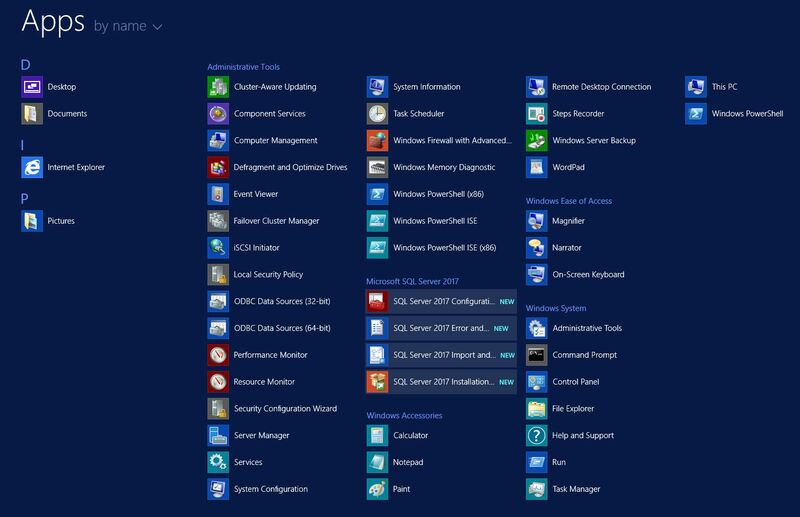 It’s actually way faster than installing SQL on windows box. This entire process took less than 3 minutes for me! Wooohoooo! Let’s check few other things before wrapping up. 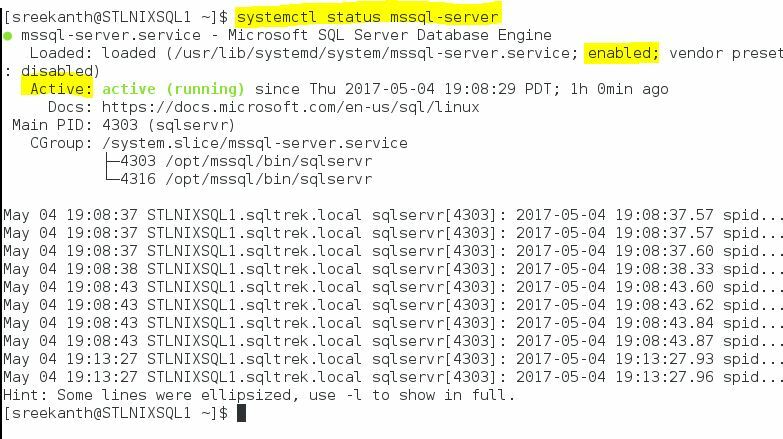 Let’s check the status of SQL Server service on our Linux box. 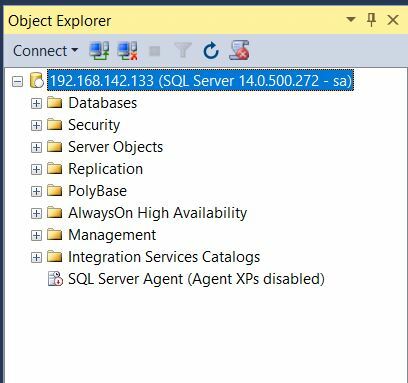 Okay…that confirms SQL service is actually Up and Running. Now, let’s open port 1433 in firewall. I see Agent XPs are disabled. Okay…let’s turn it on. 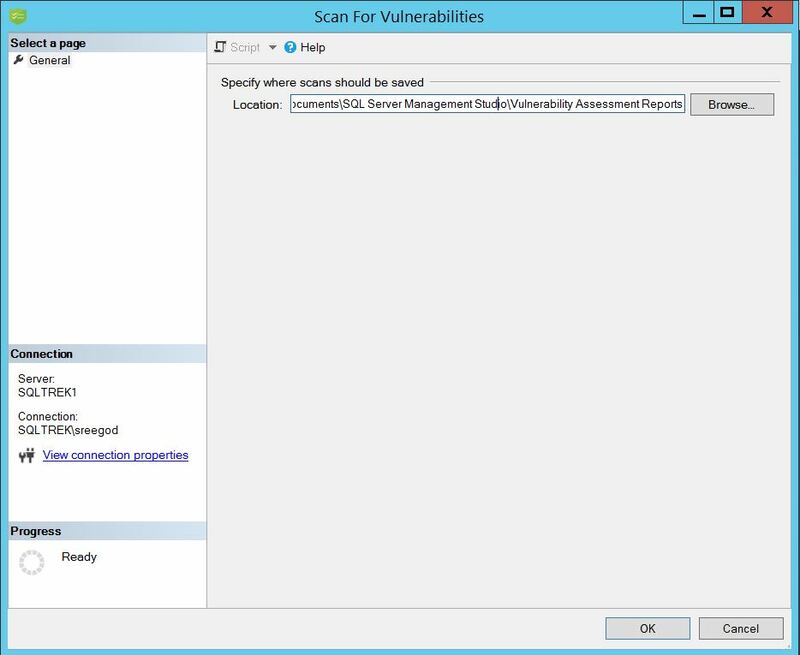 Give it a shot setting up in your own test area. 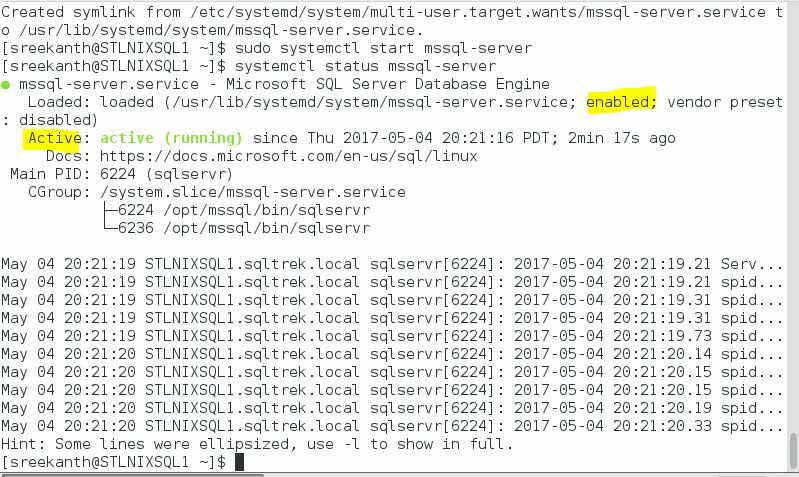 Trust me, This reaaaaally feels good once you have SQL Server running on your Linux box 🙂 That’s it folks for today! 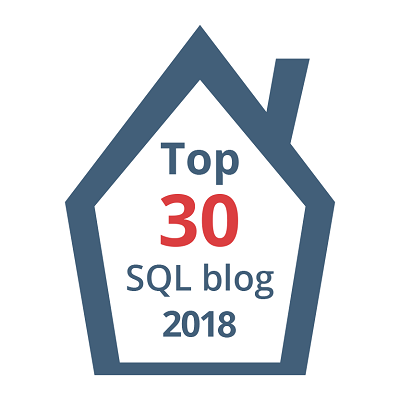 Hope this blog post helps…Later.